By Phillip Weafer | December 15, 2010. Not so long ago Justin Bieber was just a mop-haired Canadian teenager wishing for a chance to live out his dream. Now, thanks to the world of YouTube young Justin has become a worldwide sensation that causes scenes similar to those when Beatle-mania was gripping the world. Bieber’s success originated from his following on the internet site that allows members to upload video files for anyone to watch free of charge. R’n’B star Usher soon caught wind of “Bieber fever” and signed the then thirteen year-old to his own record deal. Now with the help of some of the best producers in the business, Bieber’s videos have accumulated over one billion views on the web; his album has gone platinum around the world, and reached number one in the charts in seven countries (including Ireland). Bieber isn’t the only massive success story from the world of YouTube. Other aspiring musicians have seen their work recognized and some have also got themselves recording contracts from showcasing their talents on the web. Acts such as Esmée Denters, Alexis Jordan and Greyson Chance are others who have been given a chance of a lifetime after gaining notoriety on the web. Denters was the first unsigned singer in history to go directly from personal YouTube postings to commercially performing on a major stage. The twenty-two year old from Holland is signed to Justin Timberlake’s record label Tennman Records. Denters’ début single “Outta Here” reached the top ten in the UK singles chart and her second album is eagerly anticipated. Alexis Jordan not only had a following on YouTube, but she also appeared on “America’s Got Talent”. From both her TV appearance and YouTube, Jordan caught the attention of Jay-Z who was so impressed by Jordan he became her mentor, as well as signing her to his record label. Her début single “Happiness” was a top-five hit in the UK charts and an album is set for release in 2011. Greyson Chance is one of the most intriguing success stories from the YouTube fad that has gripped the music industry. Chance is a thirteen year-old from Texas that uploaded a video of himself signing Lady Gaga’s “Paparazzi” at a school talent contest. The video received over 30 million views within 3 months of being posted. The most interested viewer was chat show host Ellen DeGeneres, who invited Chance onto her show and subsequently made him the first act signed to her record label “eleveneleven”. Most recently, ten year-old Willow Smith, daughter of superstar couple Will and Jada Pinkett-Smith, has become the latest YouTube sensation. As if young Willow’s almost royal heritage wasn’t enough to get her a kick-start in the music industry, she was signed by family friend Jay-Z to his Roc Nation label. Smith’s first single “Whip My Hair” has created a serious buzz in the industry. Some of the acts gaining fame from YouTube are not only potential megastars. There have more than a few novelty acts becoming well known and getting their fifteen minutes of fame. Our very own family trio Crystal Swing became sensations on the internet when, once again, Ellen saw their video “He Drinks Tequila” and invited the Burke trio from Cork onto her show. Of course, the impact that YouTube has had on the music industry isn’t just pigeon-holed to potential undiscovered stars and novelty acts getting their moment in the spotlight. 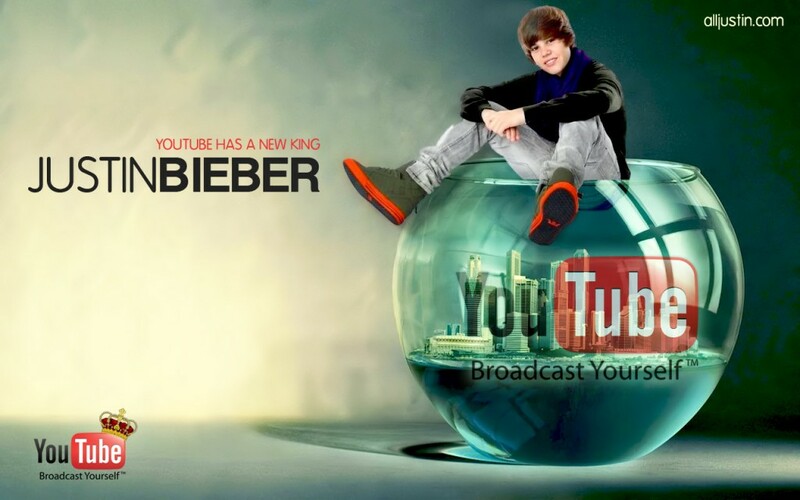 Since Google purchased the site, YouTube has become one of the most influential aspects of the music industry. The establishment of the VEVO music channels has seen more advertising used on videos by artists and is used as a barometer for potential sales and success. Established acts in the music world are now using YouTube as one of the key tools for generating buzz about new singles and videos for self-promotion. The massive impact that free music videos already have cannot be underestimated, whether discovering new talents or revitalizing the art of the music video, music has evolved on the internet because of YouTube.